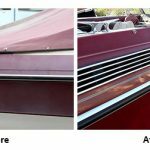 I’ve had the time recently to use the Boat Scrub, Premium Boat Shine and KWIK Shine products, they performed wonderfully and have exceeded my expectations. I look forward to using these products on the entire boat. 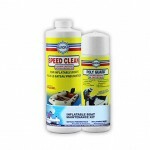 I also intend to purchase the EZ Vinyl Cleaner to use with the Boat Scrub for my vinyl touch ups. I have a question regarding the aggressiveness of the Boat Scrub. I was curious if the ‘cut’ is low, medium or high? I noticed when I got to some of the color portions of the gel coat, that I did have some color transfer to my microfiber. I just want to make sure I don’t overuse the Boat Scrub. 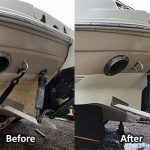 Boat Scrub has a fine polishing compound which has a very low cut. 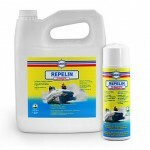 This is necessary to provide a smooth surface as you remove the oxidized or dead gelcoat from the surface. The color that you see in the cloth is normal and a good thing. What you are observing is the removed oxidation. 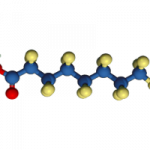 Leaving this on the surface promotes additional oxidation through the process of free radical generation. 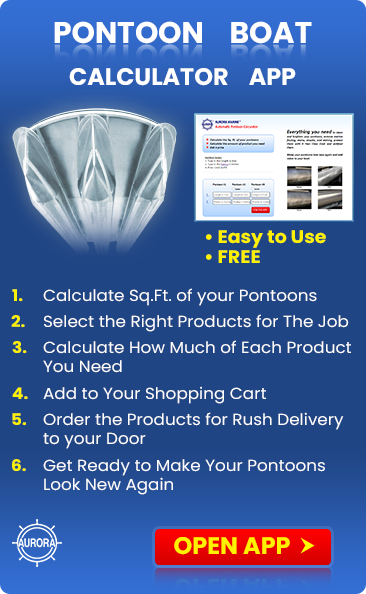 You can use Boat Scrub in combination with EZ Vinyl Cleaner to remove tough dirt and stains but do not over use it. 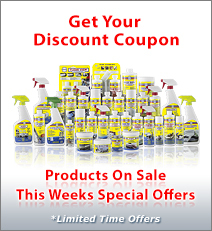 For regular cleaning, scrub the surface with EZ Vinyl Cleaner and a scrub brush. If you protect your vinyl with Vinyl Guard, you will reduce your cleaning and maintenance considerably. Each application normally last 3 to 4 months.